Can you imagine enjoying a foreign destination not only for its scenery and inherent natural beauty, but also for stunning, eye catching “Artworks” that are painted and installed on, so it seems, almost everything you can see? 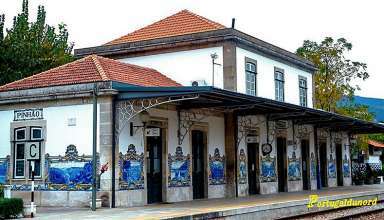 It is one of the many joys of a vacation in Portugal where you’ll discover a profusion of Azulejos. What, you might say, are Azulejos? Standing on the ship’s deck felt like being on the stage of an ancient amphitheater, rugged stone walls ringing hillsides rising steeply around me. But these walls didn’t hold seating for toga-clad spectators awaiting some amusement. 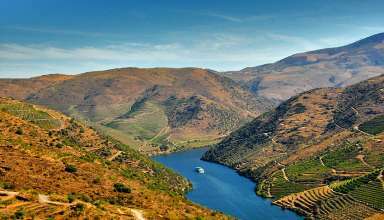 They lined row after row of grape vines, terraces tumbling down the banks of the Douro River flowing across northern Portugal.